Phillip grew up in the small town of Raceland, LA. It was during his junior year of college that he developed a passion for news. He saw news as a way to help people understand the world around them. Phillip graduated from Nicholls State University in Mass Communications in 2012. 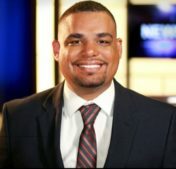 A few months later, he began his career in TV as a Production Assistant at WVUE in 2012. He landed his first on-air gig as a Anchor/Reporter for KWBJ in Morgan City. Whenever Phillip is not reporting the news, he loves spending time with his wife. Phillip also likes watching late night satirical news shows, playing video games, karaoke and following politics. He has also done some community theatre at the Teche Theatre in Franklin, La. A graduate of the Mass Communications program at University of Louisiana at Lafayette, Carter has been a resident of Lafayette since 2012 and began his media career in 2017 in radio production. As a child, Carter grew up in the picturesque community of Covington, Louisiana. A member of a musical family, he spent many weekends traveling with them to music festivals and events throughout south Louisiana to celebrate the unique music, food and fellowship the state has to offer. Carter has a great love and appreciation for the Louisiana lifestyle—from fishing and crabbing in the lakes and bayous to grilling boudin or cooking a cauldron of jambalaya at a tailgate event. Passionate about sports and music, he is proud to live in a state that boasts incredible sports teams and so many different genres of local music. And as a self-proclaimed foodie with a penchant for hot sauces, the local cuisine never fails to satisfy his envie for spicy flavors. Jazmin came to News15 from KTBS, an ABC affiliate in Shreveport, Louisiana where she was a multimedia journalist and news producer. 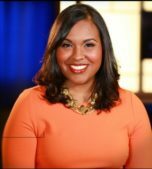 Before joining KTBS, Jazmin was a news producer and multimedia journalist at KLFY in Lafayette. In Spring 2013, Jazmin graduated from the University of Louisiana at Lafayette with a Bachelor of Arts in Mass Communications with a concentration in Broadcasting and a minor in English. Jazmin is a member of the National Association of Black Journalists and Alpha Kappa Alpha Sorority. Jazmin is an Opelousas native. When not working, she enjoys exploring Acadiana with her husband and daughter. 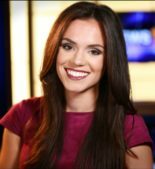 During her time at the University of Florida, Taylor was a main anchor for WUFT’s First at Five newscast, the College of Journalism and Communication’s PBS station. 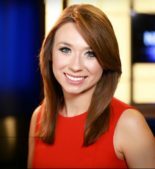 Throughout her years at WUFT, Taylor received a professional Associated Press award for best in-depth reporting in 2015. She recently won a regional Society of Professional Journalists award and her piece went on to finish second nationally in the category of Radio Sports Reporting. When’s she’s not working, Taylor loves spending time with her dog, dancing, visiting friends, cooking and traveling to new places.